National Geographic Kids Everything Rocks and Minerals: Dazzling Gems of Photos and Info! 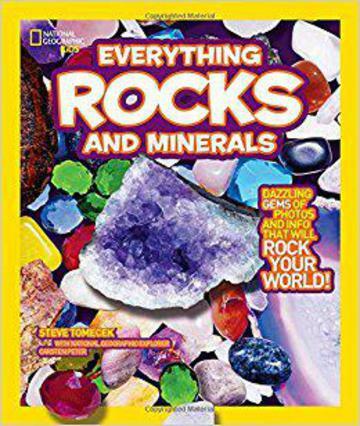 Targeted to rock-crazy kids, this bold book is more energetic, more visually exciting, and more fun than anything else on the market—and with more information, too! Youngsters become geology experts as they browse eye-popping photos and absorb layers of information made extra fun through a humor-infused presentation.